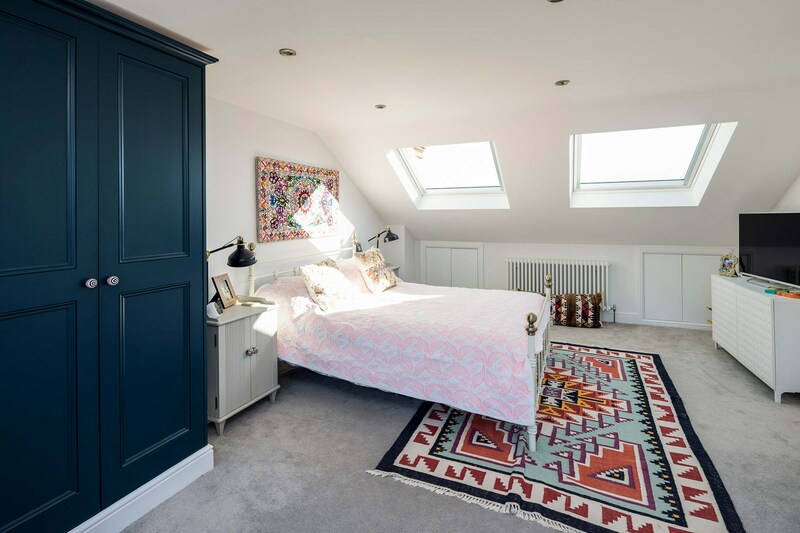 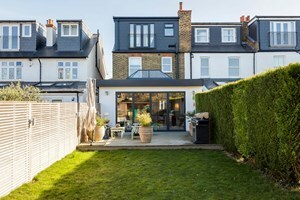 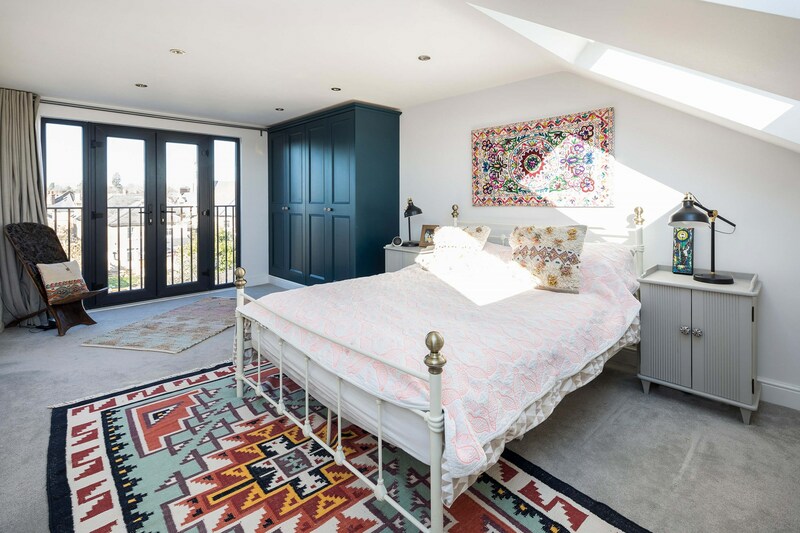 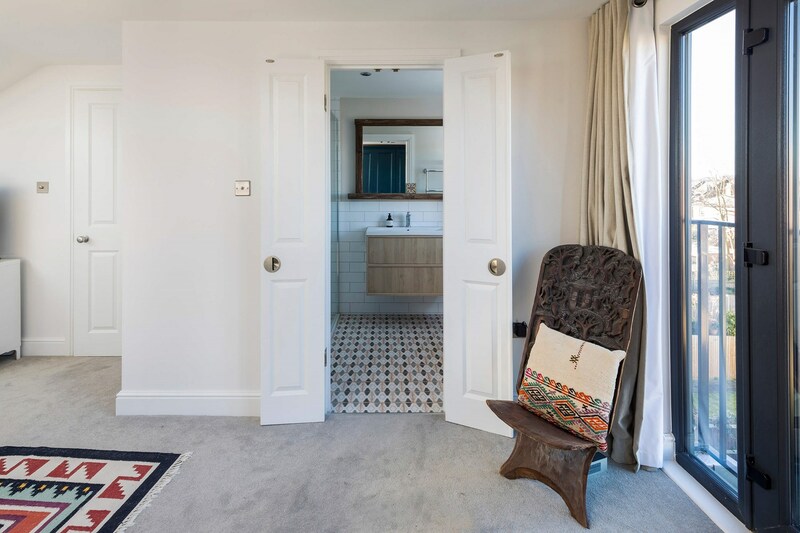 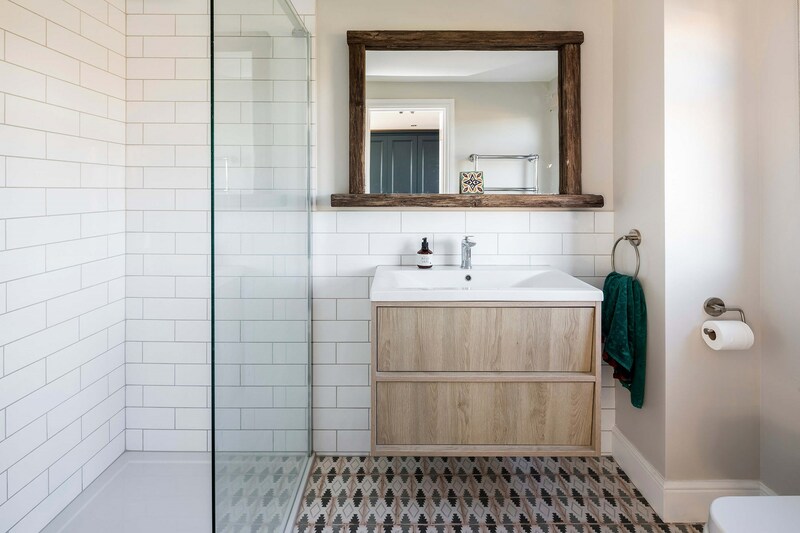 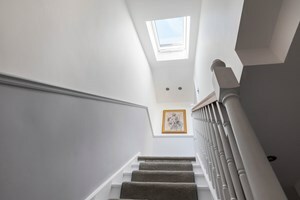 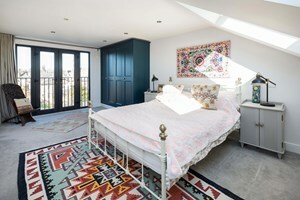 We completed this stunning rear dormer loft conversion in Surbiton which created an extra bedroom with ensuite and made use of some existing unused space. 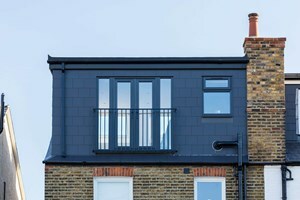 The client wanted a certain look to the loft conversion, so we incorporated grey PVC windows and doors, black fascias and square style black guttering for a more contemporary look. 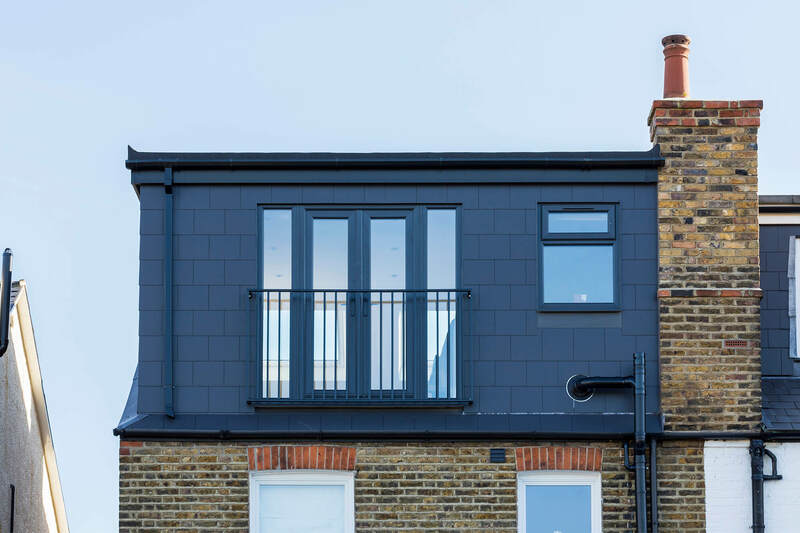 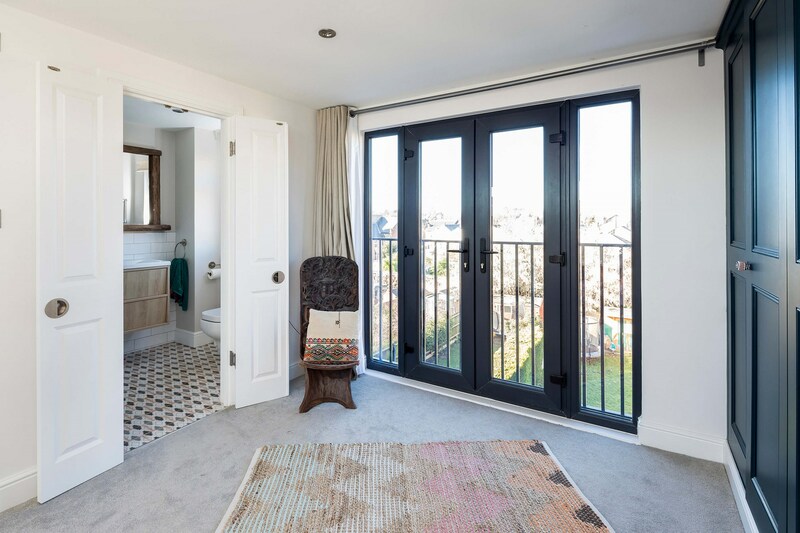 We love the anthracite grey french doors which blend into the dormer slates. 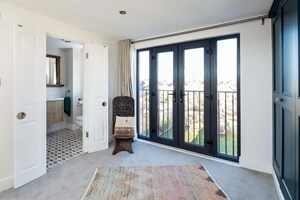 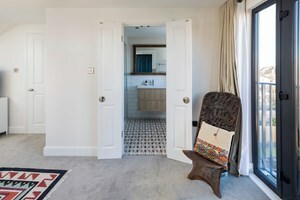 Internally we finished with some built in wardrobes and the ensuite with some Moroccan inspired floor tiles. 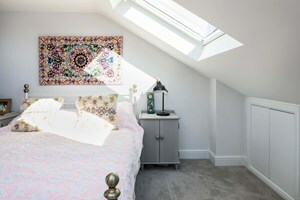 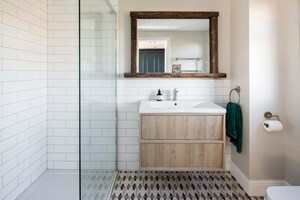 The loft has a really unique feel as a result.